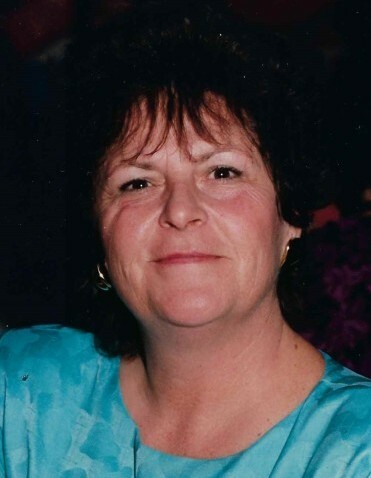 York, Maine- Carole Mary Muder Blethen passed away on Friday, January 11, 2019, surrounded by her family. Carole was born on June 20, 1940 in Portsmouth, NH, the daughter of Rose and Willard Muder. She grew up in a large Italian family in the South end of Portsmouth. She later married and moved to Kittery where she lived and raised her four children. She was predeceased by a son Christopher Russell Tobey,a daughter Sharon Lynn Raymond, and a grandson Russell Tobey. Carole was the heart of her family bringing everyone together in the loving home she created. She was always in the kitchen cooking, teaching everyone to make homemade noodles, gnocchis, and raviolis. She hosted great traditional family holidays, summer pool parties, and family weddings. Carole opened her home to family and strangers at times making a home for family or children who needed her. The holidays always found extra guests who needed a family or were away from their own. She made friends everywhere she went and adopted many into the family and was adopted by many who met and loved her. Carole loved to travel. She vacationed with her husband, friends, and family whenever she could. She was lucky to have traveled to many places including Europe, Hawaii, many Caribbean Islands, Dominican Republic, favorite US hotspots, and all over New England. Her favorite country to visit was Italy. Carole enjoyed going to plays and she saw many, from Hair on Broadway to seeing her favorite actor grandson Eric at local theaters. She especially enjoyed going to musicals at the Ogunquit Play House singing her heart out to favorites like Smokey Joe’s Cafe and the Buddy Holly Story. Over the years she had many interesting business ventures. She had one of the first food trucks back in the early seventies before everyone else caught on. She owned a catering business that grew from that, both built with her best friend Diane. She booked rock bands in the vibrant seacoast music scene of earlier times. She worked for many years at the Golden Harvest where she was sure to make her customers laugh. Carole was an avid lover of animals of all kinds and she filled her home with stray and rescue cats and dogs. She bottle fed many a kitten to independence. She was known for her quick tongue and uncensored honesty. If someone was in need or had a problem the first thing she did was start cooking. She loved and nurtured through food. She had many friends who said she was the one they could tell their innermost troubles and feelings of shame. And although she couldn’t keep a secret for the life of her, apparently she kept many confidences we never knew about. Carole made good friends at her home where she lived for the last few years at Deerfield place in York. There she enjoyed coffee klatch, playing cards, arts and crafts, lobster bakes, cook outs and the many great activities they offered. She was surrounded by friends that lovingly supported her. She was grateful to all of them. Carole is survived by her husband Larry Blethen, her daughter Debra Fredette, her son Brandon Blethen and his wife Whitney and granddaughters Lyla and Celia, granddaughter Amanda Tobey, Grandson Christopher Tobey and partner Lauren Twomey and great granddaughter Addison, Son in law Henry Raymond and grandchildren Eric and Grace Raymond, Special nephew Chris Arsenault, and many cousins, nieces and nephews.